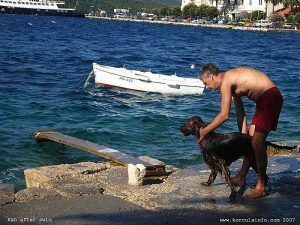 Visiting Korcula with your dog and wondering which beaches on the Island are dog friendly? If you choose early morning or very late afternoon, most of beaches would be almost deserted. This is the best time to bring your dog to the beach for swim, making sure you don’t invade other swimmers and sunbathers personal spaces. Sometime, even midday is a good idea as due to high temperatures, people choose to spend that part of the day in the shade, away from beach. 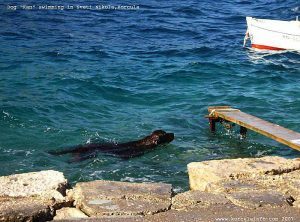 If you apply common sense it may not be a challenge finding a beach in Korcula where your canine friend can accompany you.